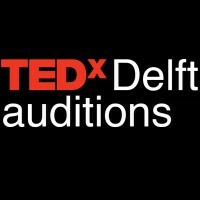 Do you want to be on the TEDxDelft stage? Do you have an “Do try this at home” idea worth spreading? Why not try and pitch yours, because this year, we have speaker/performer auditions. At the Summer Festival 2013 on 31 May 2013, we have a TEDxDelft audition stage underneath the Culture building from 17.00 until 17.45. We have speaker coaches, team members, lights and a camera available so you can expect direct feedback on your talk! So, prepare a pitch (2-3 minutes) on an idea you think is worth spreading and somehow connects to “Do try this at home”. Find us at the Summer Festival grounds and maybe…….maybe you are the next TEDxDelft speaker/performer at 4 October 2013. Please let us know your are pitching (plus title of your idea worth spreading) via info@TEDxDelft.nl. Curious about the things that make a great TED(x) talk? See June Cohen, Executive Producer of TED Media, explain at TEDGlobal 2010 what are the elements of a great TEDTalk.